With the growing popularity of Android, iOS, and Blackberry devices there are more and more ways you can put theses devices to use. One of the most common, is bringing the point of sale outside the 4 walls. Mobile POS software is available for almost any mobile device but one of the biggest challenges is incorporating barcode scanning and receipt printing. You could always email a receipt or use the camera on your device as a scanner but many customer will want a physical receipt copy and your camera is a poor substitute for a proper scanner. Everything is moving more and more to mobile platforms and payment processing is no different. Taking the point-of-sale wherever it is needed can be easily done with the right tools for your Apple, Android, or Blackberry smartphones. The ID Tech Shuttle is a magnetic stripe reader that communicates with mobile devices via the headphone jack. The Shuttle utilizes ID Tech’s proven MagStripe reading technology, providing bi-directional card reading of up to two tracks of information and supports TDES and AES encryption using DUKPT Key Management. The Shuttle is the only audio jack MSR with firmware upgradeability in the field and compatible with over 100 different phones and tablets which is critical to ensure device functionality with the widest variety of host devices in the market today. You can find a complete list of compatible devices here. For any business that is trying to add more functionality to hardware they might already have, the Honeywell Captuvo SL22 brings professional grade barcode scanning and magnetic stripe reading to you Apple products. The sleek, compact and stylish Captuvo SL22 transforms the popular and familiar Apple iPod touch into an enterprise-ready device that provides associates with instant access to product information and enables customer checkout, anywhere in the store. Delivering fast and accurate reading of linear, 2D and even poor quality bar codes, the Captuvo SL22 enables various applications, including price and product look-up, inventory management and scanning items for purchase at the point-of-decision. Motorola Solutions delivers new accessories that will help retailers extend the functionality of the ET1 Tablet for improved sales support, mobile point of sale. Motorola announced the availability of a suite of accessories for the ET1 Tablet. Offering a consumer-class user experience on a true enterprise-class tablet, the ET1 helps retailers offer a better shopping experience by providing the tools store associates need to answer questions, provide feedback and close a sale without leaving the customer’s side. Motorola introduced its ET1 accessories along with its vision of the future retail shopping experience and the results of the 2012 Future of Retail study. Motorola’s Future of Retail study found that 39 percent of shoppers were least satisfied with the level of help or information that store associates were able to provide. The ET1 is a flexible and capable mobile device that can help enhance the shopping experience of both customers and sales associates. With the ET1 scan module, store associates can provide an improved shopping experience by offering more product information and better sales support. The powerful imager enables the capture of multiple barcode symbologies, including the ability to read mobile barcodes from cell phones. 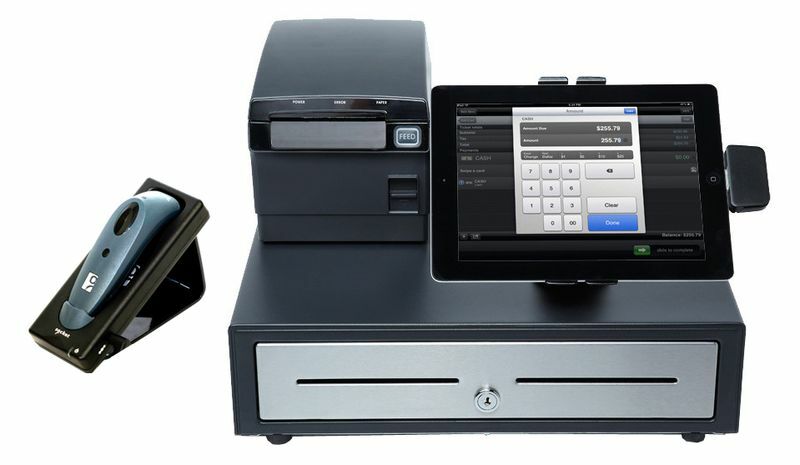 The ET1 scanner/magnetic stripe reader (MSR) expansion module adds the ability to read credit, gift and loyalty cards to the functionality of the scan module and turns the tablet into a mobile point of sale (MPOS) device. Now, store associates can provide more information and assisted selling, plus the MSR’s encryption technology can help the associate securely complete the sale, eliminating long lines at the cash register.